Being dubbed (so to speak) as the “best of British reggae” and “a very talented young band of players” by no less than David Rodigan gives any band a lot to live up to. Shanty’s reaction is to keep to the same successful course they have already embarked upon. Their new single is, as on previous releases (see reggaemusic.org.uk 29 September 2014), an upbeat brass-led danceable sound that captures the vocals of Ben Willis very effectively. This London band has established a formidable live reputation, playing alongside the likes of the Skints, Prince Fatty and Neville Staple, and they have captured that live feel in this new release. Instrumentally Shanty share the approach of the Specials but the mood is different: Shanty are a feel-good bunch. The sound of the band can best be described as the Specials without the doom and gloom. This new multi-artist compilation features the seemingly immortal Lee Scratch Perry with an excellent collection of rare tracks, mostly unreleased until now. Billed here as ‘Lee Perry as the Upsetter’, Perry’s typical production sound is evident throughout these sixteen tracks, issued in single CD or double vinyl format. It all begins with George Faith’s classic ‘Don’t Be Afraid’, followed through with some little-heard sounds including Joy White’s original vocal on ‘Lay Besides You’. 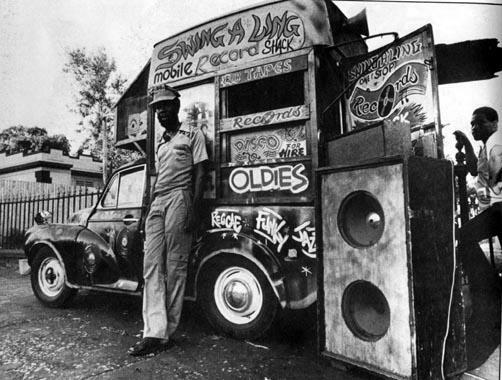 Other rarely played tracks include the dub plate mix of ‘Sun is Shining’ by the Upsetters, who also offer us a previously unreleased mix of ‘Police and Dub’. Augustus Pablo and the Upsetters provide a fine version of ‘Keep on Moving’. This all links back of course to the Marley tradition and to mainstream roots reggae. Everyone who values that reggae tradition, and who hasn’t yet had enough of Mr Perry, will find something worthwhile here.